For as long as she can remember, Natoya Walker Minor wanted to work in public policy. As a teenager, she and her sister were involved in the beloved Arthur Ashe tennis program, funded by the local government, for three years. But the fourth year, the funding for that program was cut. That decision frustrated and ultimately fascinated Natoya and caused her to question how local government operated. She wanted to know who made the decisions about whether programs would continue or not; so, it’s really no surprise that she grew up to become the Chief of Public Affairs for the city of Cleveland. “At the core of who I am I believe in opportunity and I believe that everyone should have an equal opportunity for success,” she said. In her position, Natoya works directly with the people of Cleveland. She’s passionate about the work because she and her team develop and implement social, economical and educational programs to improve the lives of the people of her hometown. Natoya’s passion reaches far beyond public policy; she’s extremely passionate about education. She knows exactly where her love of learning began: in her Head Start classroom. Both Natoya and her younger sister graduated from Head Start preschools here in Cleveland. Natoya says the foundation the program set for her early in her life was instrumental to her future success. 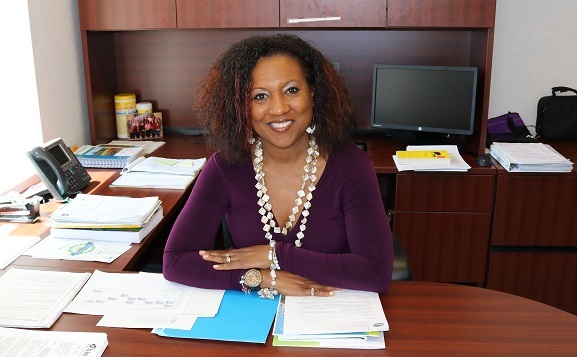 In her current position, Natoya works closely with Mayor Frank G. Jackson. She serves as an intermediary between him and seven city departments, including Public Health, Workforce Development and the Office of Equal Opportunity. It’s a huge job, but it’s one Natoya says she was destined to do. *Natoya Walker Minor graduated from the Cleveland Public School System. She holds a Bachelor’s degree in Political Science from University of Toledo, a Master’s degree in Public Administration from Baruch College, City University of New York, and holds executive leadership certificates from Georgetown University and the John F. Kennedy School of Government at Harvard University.